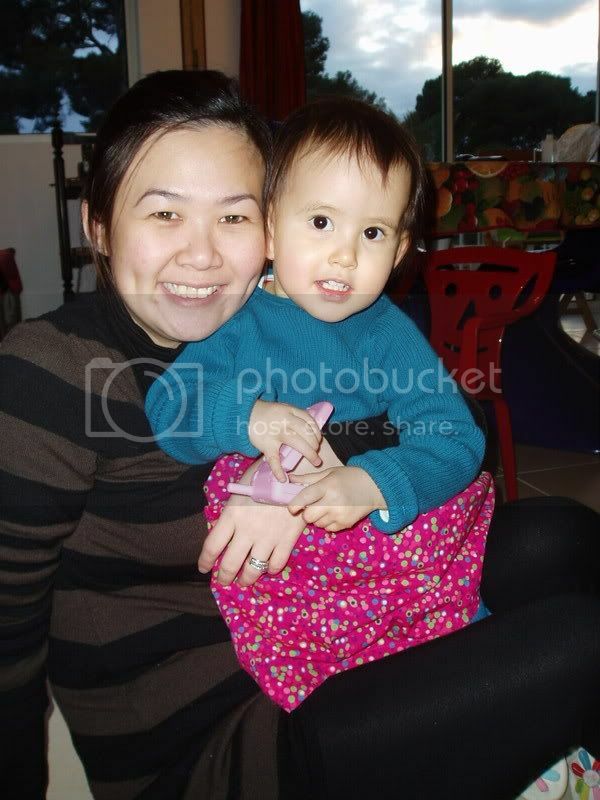 Across 2 Cultures - Cross-Culture Parenting and Lifestyle Blog: Merry Christmas Laetitia! Well, she sure is very spoiled this Christmas. Just look at the family Christmas tree and you will understand why. 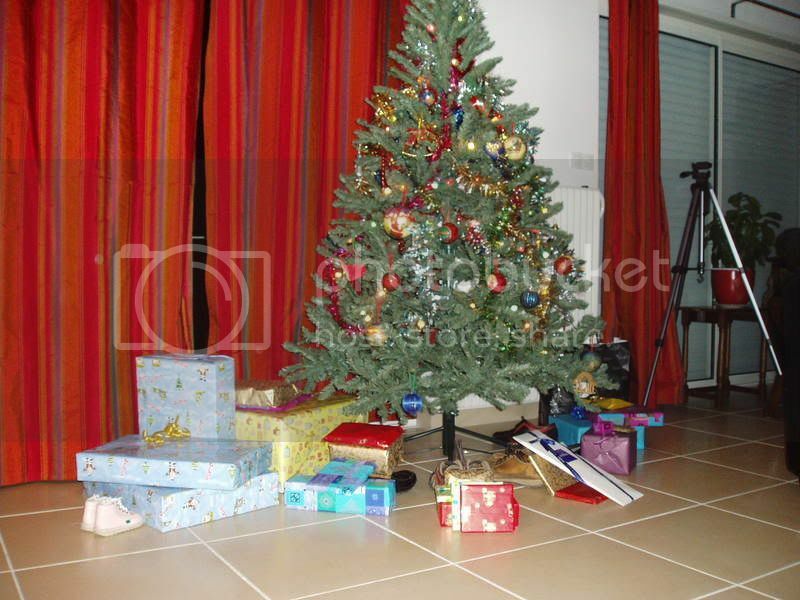 In france, the tradition is to put a pair of your shoes under the tree so that "Pere Noel" (Father Christmas) will know where to place your presents. 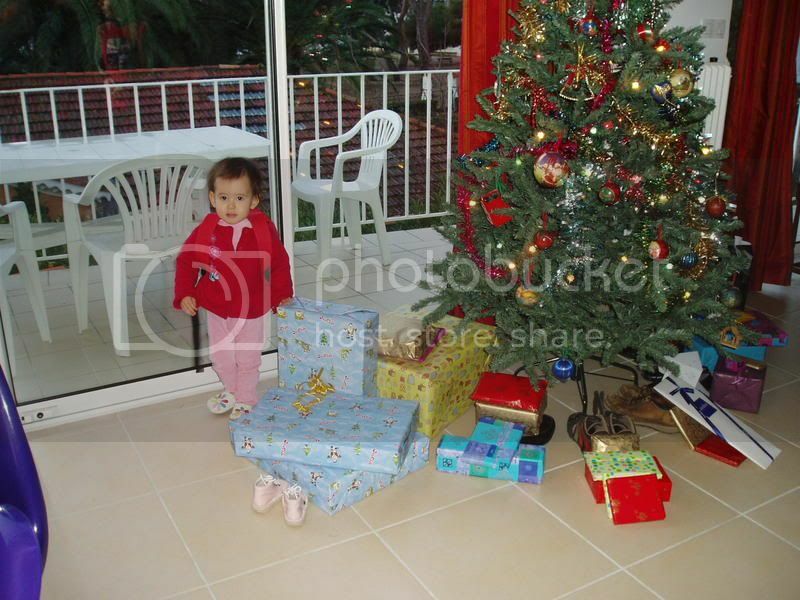 As you can see from the photo, the smallest pair of shoes has the largest amount of presents! And this is not inclusive of the presents waiting for her at home in Paris. I only took two of her smallest presents with us to save space in our luggages. And this was early in the morning when she woke up and went upstairs to the main living room area where the Christmas tree is. She went straight for the presents. Well, she had a good time opening her presents which included a dining set, a CD player, a dough modelling set, a set of Winnie the Pooh self inking stamps, a tricycle and some pretty bibs. Here are some pictures from last night (Christmas eve) as mentioned in the previous post. She had her pretty Christmas dress on and in the evening we went out to the town hall where they had a Merry-go-round and some other fun things going on. Laetitia exploring the Christmas tree. 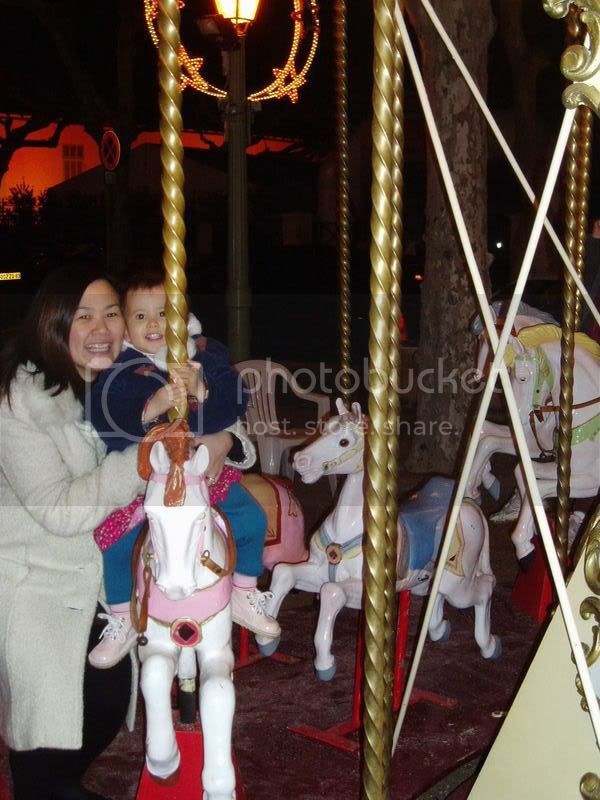 Enjoying her first Merry-go-round ride. Well, it is actually the second since the very first ride was with her papa but she was not exactly very keen and refused to sit on a horse. After that, I decided to go on the ride with her and it went so much better. Just a lovely photo of us two. 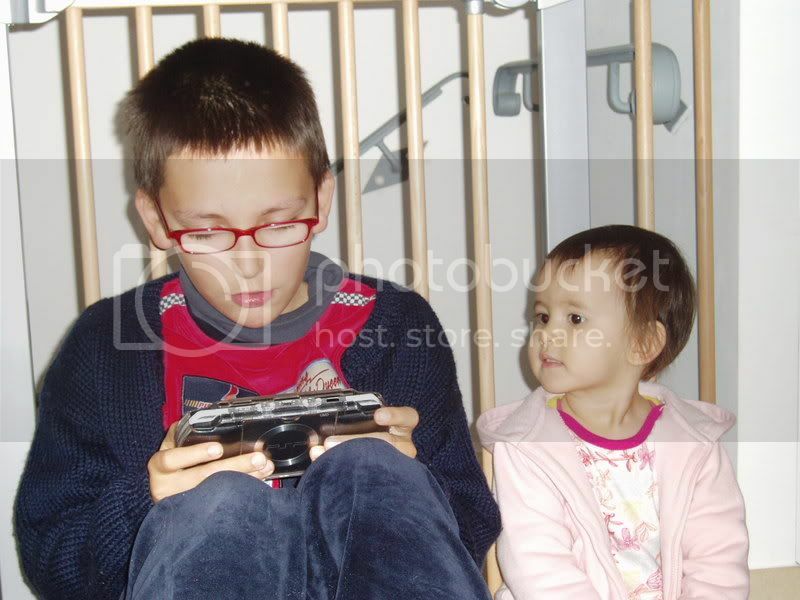 A photo of her checking out her cousin Alexandre playing on the PSP. Laetitia so pretty!! I will be thrilled to see so many presents waiting for me to open! !